‘Wardrobe Malfunction’ goes live on BuffaloComedy.com! 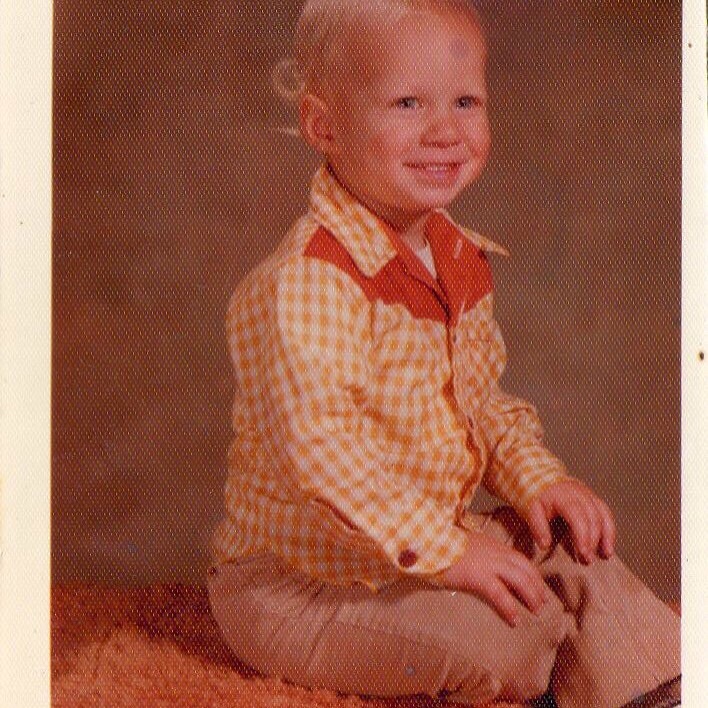 The artist as a very poorly dressed child. I hope you like it. Between Big Words Video and then chasing deadline a week later with Buffalo Comedy, I could use a break. Talk to you all next month. Before producer Richard Wicka and I even started filming the webisodes last August, I booked all of my guests for the first season of the show in an effort to keep the guests balanced and ensure that the show got off to a strong start. Jon Elston (Episode I) recommended poet and playwright Justin Karcher as someone who would work as a guest for the show and Karcher certainly didn’t disappoint. Publicity still for Big Words Video X by Richard Wicka. 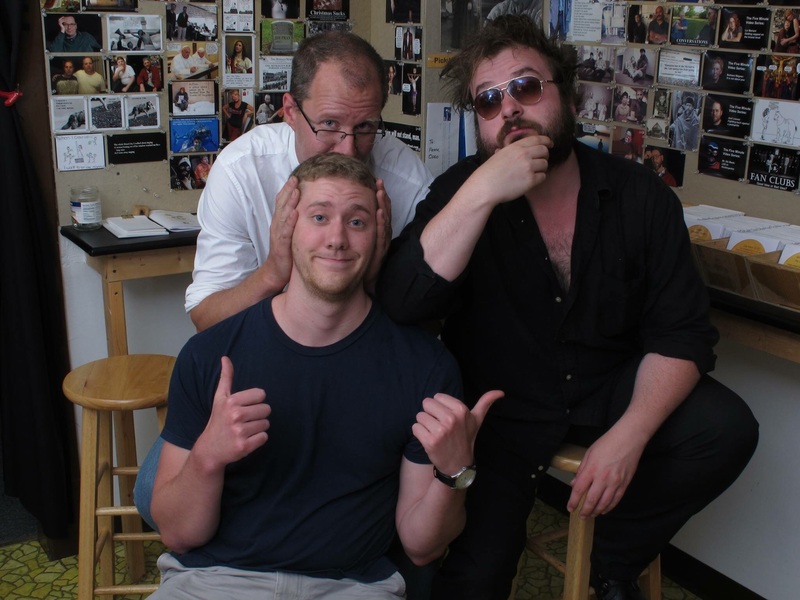 Pictured (clockwise): Waters, Justin Karcher and co-host Pete. Please take the time to ‘Like’ the show on YouTube as well as ‘Sharing’ it on any of your various social networking platforms and apps. Thanks are in order to Justin for delivering on his mystique, Pete for coming to the table with some research of his own and of course producer Richard Wicka for letting me run around his studio like a bull in a china shop. I’ve been excited about next month’s guest since August, but why spoil the surprise now? Karcher is the real deal when it comes to poets. He’s not a tourist and not a ‘hobbyist’. I look forward to seeing how his bibliography plays out. Please take an extra minute to SUBSCRIBE to the Big Words Video Channel to receive updates on new shows as they arrive. There are only a few episodes left before Season One comes to a close and there are still some great guests down the road! You are currently browsing the big words i know by heart blog archives for June, 2015.